Today’s hectic lifestyle has left many people wondering how to manage the stress that comes along with it. While regular aerobic exercise and strength training can help, they aren’t the complete answer. Some experts and practitioners believe that yoga is the piece you need to complete the puzzle of maintaining fitness in both the body and mind. Now, before you start conjuring up images of zoned-out new-agers in pretzel-like positions chanting mantras, consider this: yoga is an ancient practice that can help you deal with the stress of modern life. And more and more people (stressed out or not) are discovering the benefits of yoga. In fact, it has been reported that more than 11 million Americans are now practicing some form of yoga. Yoga, which means “to yoke” or “unite”, is the practice of uniting all aspects of a person— body, mind and spirit — through physical postures, breathing exercises and meditation. Flexibility, strength and muscle tone improve quickly as the mind and body work together in harmony and unison. 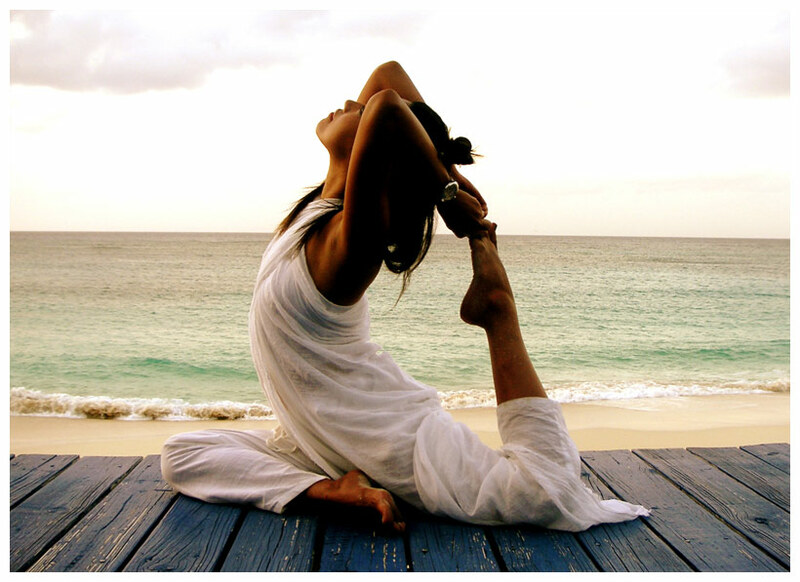 There are several different branches of yoga, each with its own unique focus. Hatha yoga, the most widely practiced form, emphasizes concentration and consists of gentle stretching and strengthening exercises. Because prana, or “life force”, is thought to originate in the breath, Pranayama yoga uses breathing exercises and breath control to enhance vitality and energy. Mantra yoga uses the concentrated repetition of a word or phrase to aid in the control of the mind. For some, yoga is a primary means of relaxation, something that is often difficult to achieve in the high-stress, high-speed modern world. Regardless of which type you choose, yoga is an excellent way to stretch and strengthen the body, focus the mind and relax the spirit. In fact, most modern stress-reduction techniques are based on the principles of yoga. Available research indicates that stress-related diseases respond favourably to this type of approach. Hypertension, insulin resistance, pain, cardiovascular disease, anxiety and depression all are beneficially affected by regular participation in mindful exercise such as yoga. The best way to get started in yoga is to find a class that appeals to you. Find out where yoga classes are being held in your area and stop by to see what you think. There are many different approaches to yoga—some focus on breathing, others focus on holding specific postures — and it’s important to find the one that appeals to you the most. For a more intense yoga workout, choose Ashtanga, or Power yoga. This type involves a series of very intense yoga postures done in succession. This class, which is a vigorous workout, can help develop strength as well as flexibility. Yoga is a great way not only to relax, but also to improve your performance in other activities. Once you have learned a few yoga moves and breathing techniques, they can easily be integrated into your regular fitness routine. So don’t let any preconceived notions of yoga keep you from enjoying the benefits of this dynamic mind/body exercise!